Penn State Health Milton S. Hershey Medical Center boasts one of the nation’s only surgeons trained in both pediatric otolaryngology and skull base surgery, bringing highly specialized expertise for complicated cases. Among children, skull base tumors and lesions of any kind are rare, making skull base surgery a highly unusual procedure for most pediatric otolaryngologists. For this reason, many children with these health problems end up being treated by adult surgeons—often in adult institutions, with equipment and anesthesiology care designed for adult patients. 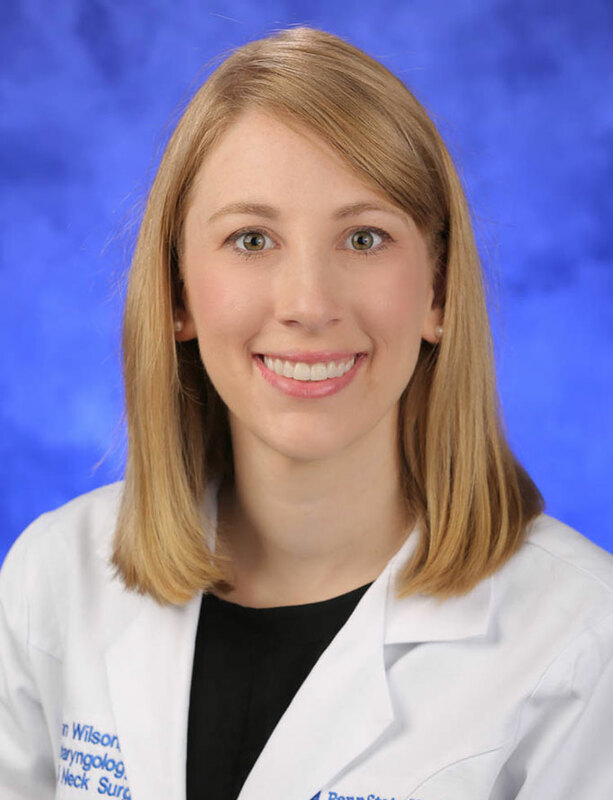 Assistant Professor of Surgery in Otolaryngology at Penn State Health Milton S. Hershey Medical Center, Dr. Meghan Wilson, says, “There are many subtleties to taking care of children.” Dr. Wilson is one of less than a handful of U.S. physicians fully trained in both pediatrics and skull base surgery. These pediatric-specific care issues are just the beginning. Until about 10 years ago, there were no specialized instruments designed small enough to spare children the discomfort of an open incision for procedures routinely done endoscopically in adults. This resulted in longer recovery times and greater disruption to patients’ lives. 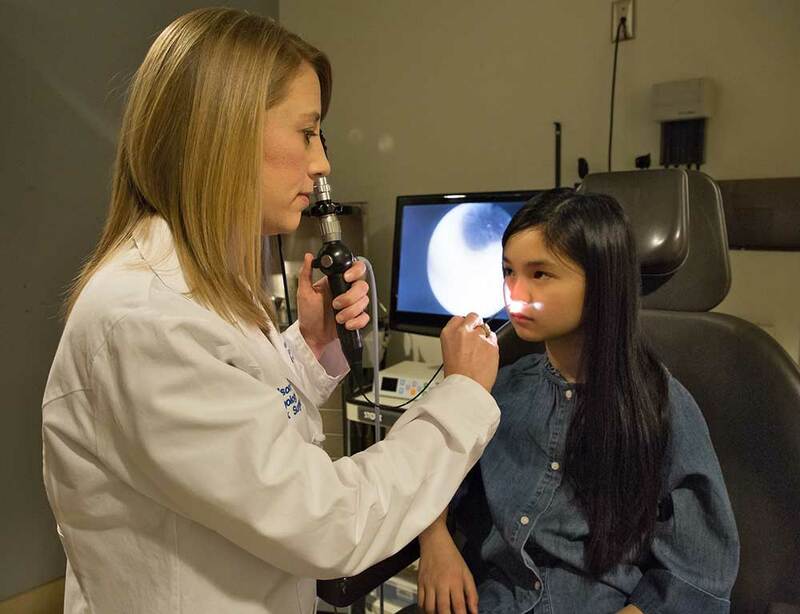 Dr. Meghan Wilson uses a flexible rhinolaryngoscope to examine in detail the nasal cavity and sinuses of a young patient at Penn State Children’s Hospital. To ensure appropriate care for pediatric patients, Wilson uses special pediatric surgical equipment, which enables minimally invasive surgery in many patients. She also works with a team of skull base experts, including pediatric nurses and anesthesiologists, neurosurgeons, plastic surgeons, ophthalmologists, radiation oncologists, radiology staff and more. For her pediatric skull base surgery patients, all operations and post-surgical care take place at Penn State Children’s Hospital. Wilson also performs adult skull base surgery and all common ENT procedures in both adults and children, including tonsillectomy, adenoidectomy, neck masses, sinus surgery, ear tubes and more.